The city will be buzzing this weekend with craft beer brewers, importers and drinkers from all over the world. PORTLAND – The city will become the center of the beer-drinking universe this weekend as thousands of craft beer fans and brewers from around the world converge for an international gathering called The Festival. Consisting of three tasting sessions – one Friday and two Saturday – at the Portland Co. Complex on Fore Street, The Festival is organized by beer importers and serves as a showcase for the rock stars of the beer world. 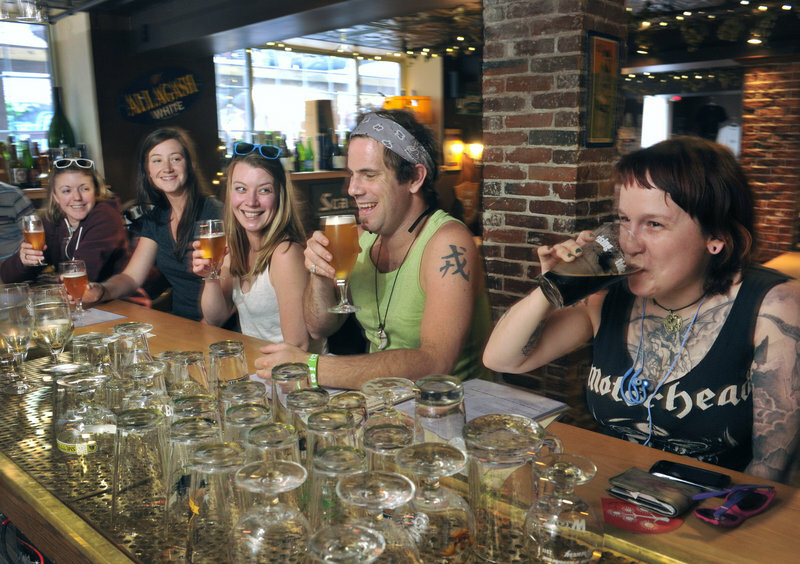 It’s expected to inject nearly $1 million into Portland’s economy and provide priceless exposure for local craft brewers, pubs, restaurants and businesses that cater to tourists. Sven Bosch, 44, is flying to Portland from Mataro, a city in the Catalonia region of Spain. He’s the owner of a Belgian beer cafe, The Drunk Monk (rated one of the 50 best beer bars in the world by ratebeer.com), and is coming to The Festival to seek out new American beers to serve at his bar. Jason Kramer, a 36-year-old pharmacist, planned to leave his home in the central Pennsylvania town of Sunbury on Thursday morning to begin his own pilgrimage to Portland by car. 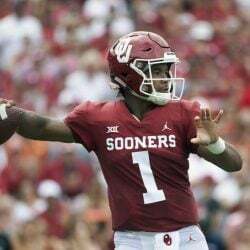 He planned to stop at breweries in Connecticut, Massachusetts and New Hampshire before arriving at the Portland Marriott on Friday morning. Kramer will attend all three sessions of The Festival to be sure he can meet as many of the 70 or so brewers who are attending as he wants — the people whose names are on the labels of some of his favorite beers and who are, to the beer world, what chefs like Mario Batali are to the foodie set. Multiply Bosch and Kramer by 2,000 or 3,000, and you have some idea of the swarm of beer lovers about to descend on the city this weekend. It’s as if a cruise ship docked in Portland and let all its passengers out into the streets. But instead of going back to the ship in the evening for dinner and a place to rest, the visitors will fill the city’s hotel rooms and dine in its restaurants. There are travelers coming from as far away as England, Norway and Spain, said Robert Merryman of Shelton Bros. beer distributors, one of the organizers of the event. Some are brewers, but many are tourists coming from Europe just to attend the festival. Attendees also include craft beer fans from 20 states. Barbara Whitten, president of the Portland Convention and Visitors Bureau, estimates that the beer festival will pump at least $750,000 into the Portland economy — and that’s a conservative estimate. Whitten is particularly happy that the organizers chose Portland because the city has been working hard to promote itself as a culinary travel destination. The thousands of people expected to attend The Festival will help spread the word that “we have some great beer in Maine,” she said. “They’re just creating more of a beer buzz, if you will,” Whitten said. Rick Hirshmann of Portland Rock Lobster, an Old Port gift shop that sells Maine-made products and has one of the largest selections of hot sauce in the Northeast, is hoping The Festival will help make up for the “soft numbers” he’s had all year long. Hot sauce and beer, after all, go together like lobster and butter. A wet, cold spring and national events such as the Boston Marathon bombing and tornadoes that pummeled Western states in May affected the number of travelers visiting the Old Port, Hirshmann said. Local craft brewers and retail outlets that sell beer are also excited about the opportunity to welcome hundreds of beer drinkers to their businesses. 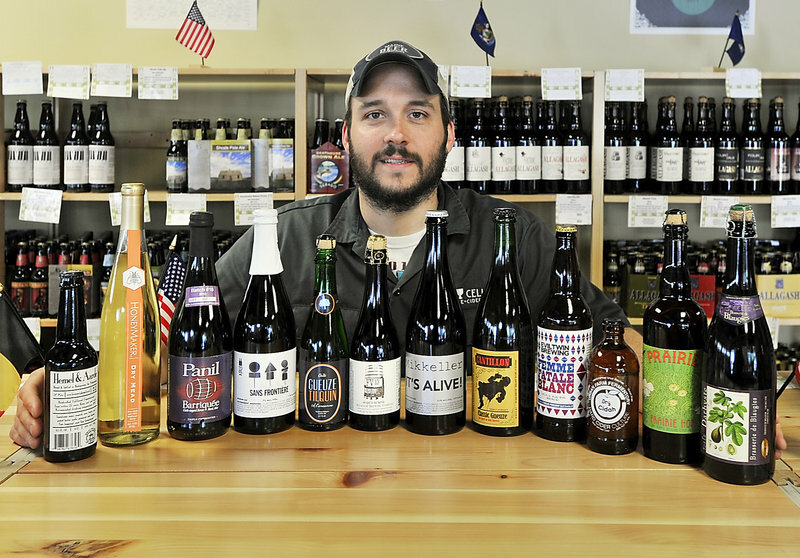 Bosch of Spain, for example, has expressed interest in meeting brewers and sampling local brews from Allagash Brewing Co., Maine Beer Co. and Bull Jagger. Some Maine brewers are taking the opportunity to do collaborations with their overseas counterparts. Kleban spent part of Wednesday brewing with Kjetil Jikiun, the founder and head brewer at Nogne O, a Norwegian brewery. Local brewers are expanding their tasting room hours, and pubs and retailers are adding the rare and unique beers imported by Shelton Bros. to their stock so they’ll have plenty available for customers to sample. Novare Res Bier Cafe has been stockpiling Shelton Bros. beers for the past year. RSVP, a liquor store on Forest Avenue, has stocked 60 new beers, according to Dan Shelton of Shelton Bros. Whole Foods Market has special-ordered beers that will come in this weekend, and another shipment will arrive next week. 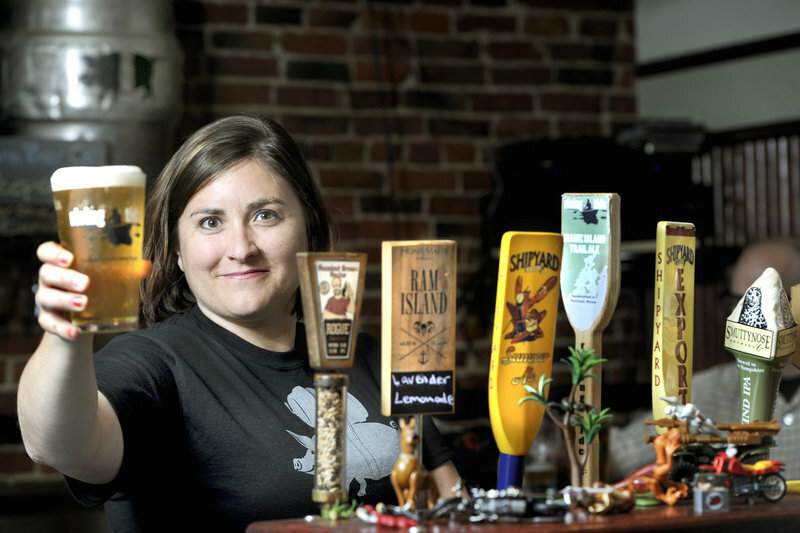 Allison Stevens, owner of the Thirsty Pig on Exchange Street, has been preparing for The Festival for a month. She’s made 2,000 sausages to sell at the event — similar to what she made for a folk festival on the Eastern Prom headlined by Mumford & Sons last summer — and had to buy a new freezer to hold them all.